C1182. 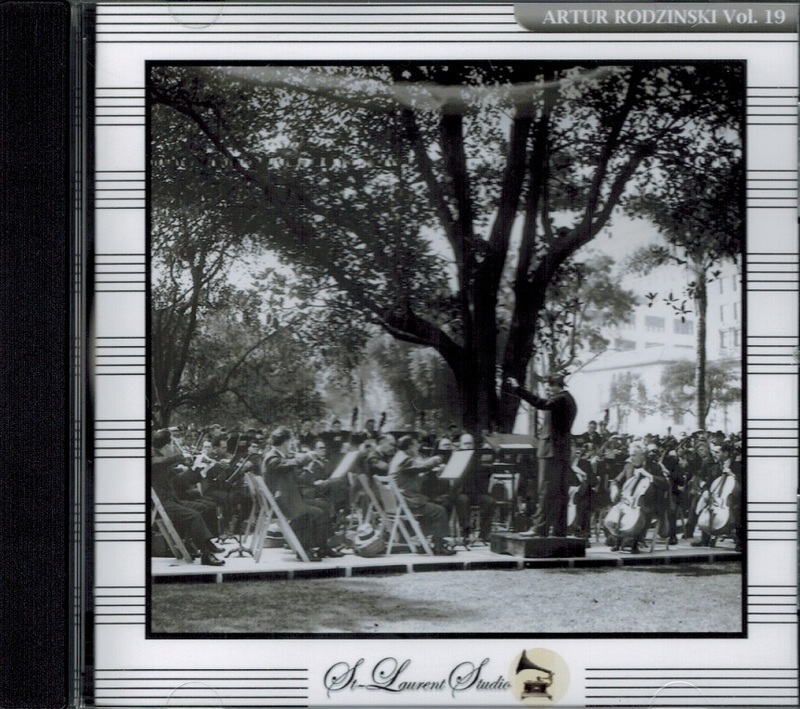 ARTUR RODZINSKI Cond. Chicago Orch. 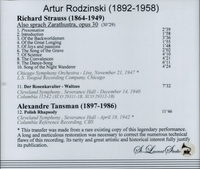 : Also Sprach Zarathustra - Live Performance, 21 Nov., 1947; Rodzinski Cond. 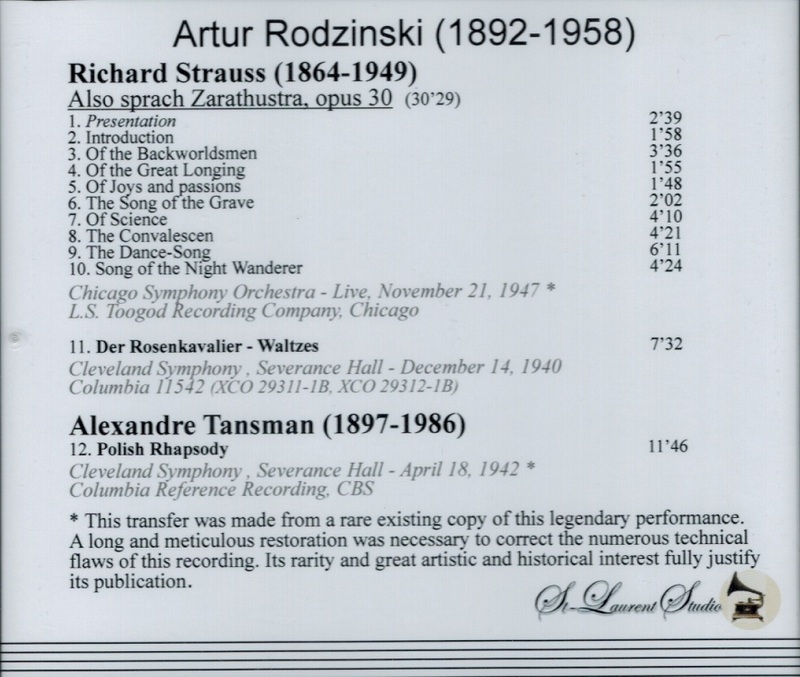 Cleveland Orchestra: Der Rosenkavalier - Waltzes - recorded 14 Dec., 1940 (both Strauss); Polish Rhapsody (Tansman), recorded 18 April, 1942. (Canada) St Laurent Studio YSL 78-171, (from Rodzinski collection). Transfers by Yves St Laurent.